The first evening kicked off with the first class and a demonstration club: a deep dive into the material and methods they will use to present the Gospel in their communities. Between sessions, they enjoyed fellowship with each other over worship, meals, games, karaoke, hiking, and (many) naps. Isaac Graham, a local worship leader, led the group in morning worship each day, and state director, Ed Solomon, led in daily devotions. When Wednesday rolled around, it was time to test their skills in front of real-life children. God was gracious to bring together a group of children from churches connected to the camp facilities. Parents and church staff in attendance were exposed to CEF® ministry for the first time, as well. 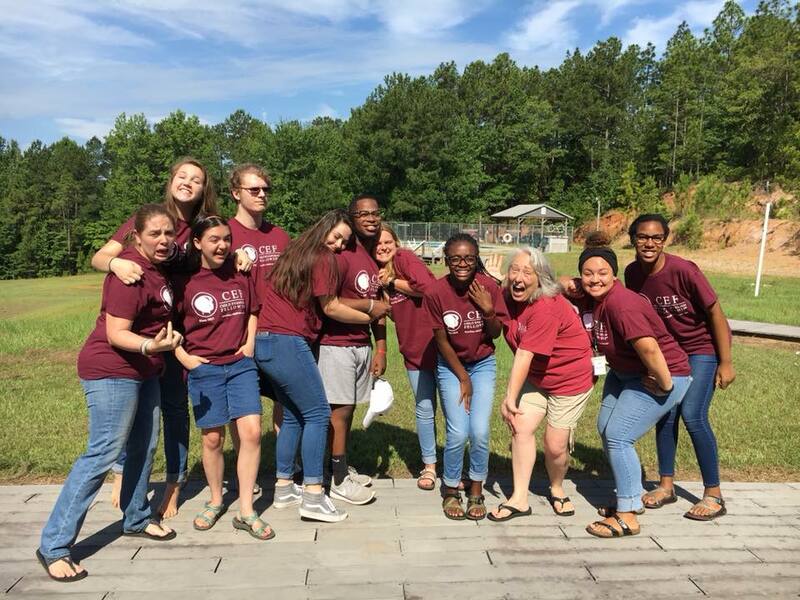 By Friday, teens were headed home for a well-earned weekend of rest and to begin community-wide ministry in their local chapters the following week. To date, the Central Alabama CYIA(TM) missionaries have reached 520 children. Zaina Marcum, first year, teaches the story of Ringu at training. Please pray for the teams that serve over the summer, that God will be their strength, encouraging them in the work to which he has called them. Pray also for the children, that God will bring others behind us to disciple the children when summer is over. Pray for the church that partnered with us, that God will continue to use them in their communities through out the year.